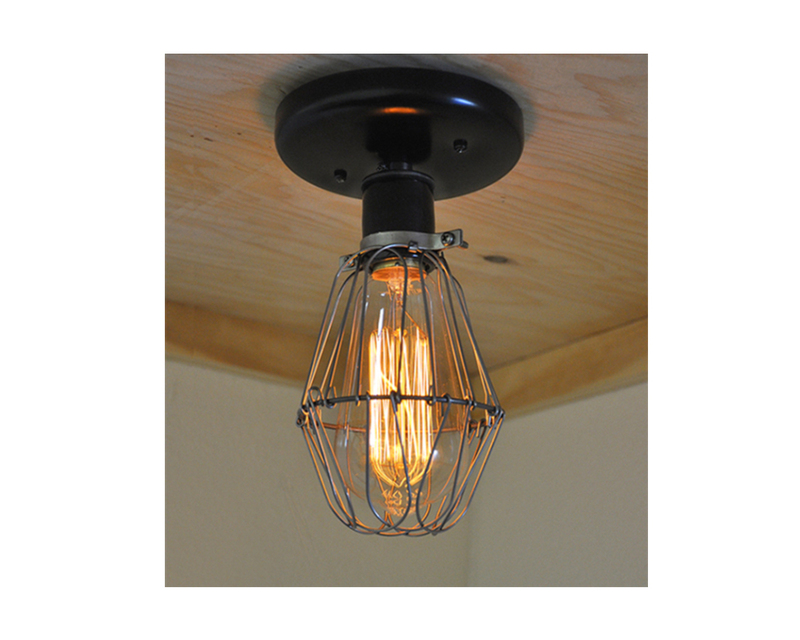 Accent your ceiling or wall with this industrial style cage light. 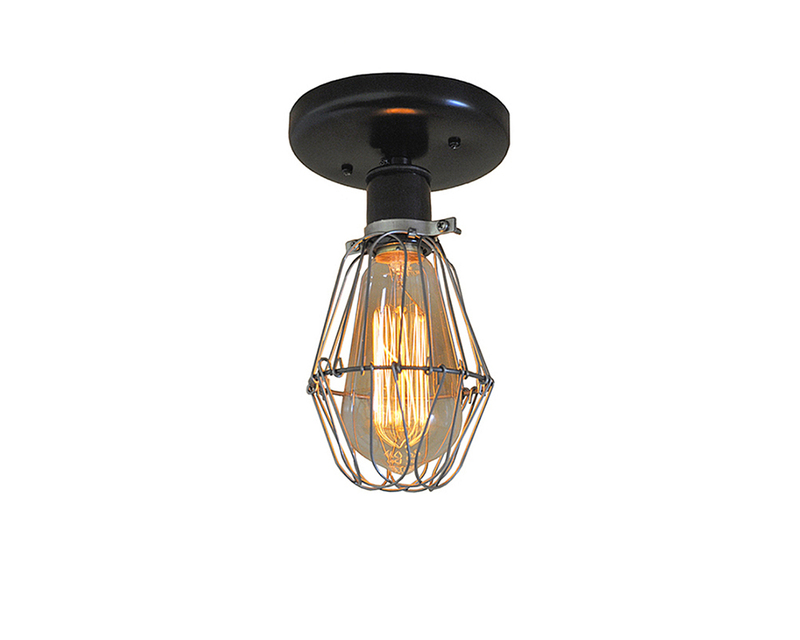 It features a round metal canopy and heavy-duty black porcelain socket with an adjustable steel hinge safety cage. 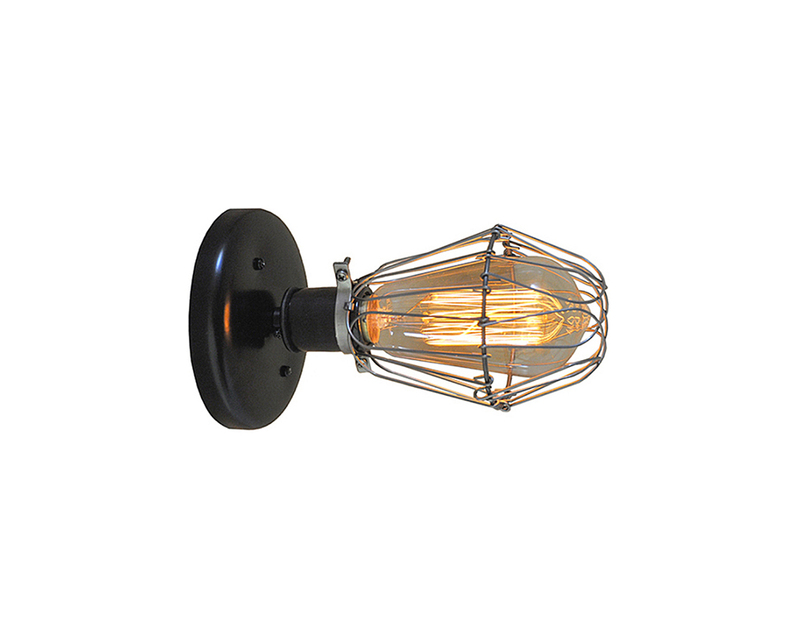 The amber glass Edison bulb adds just the right amount of light. All of the bulbs are dimmable and included as shown.